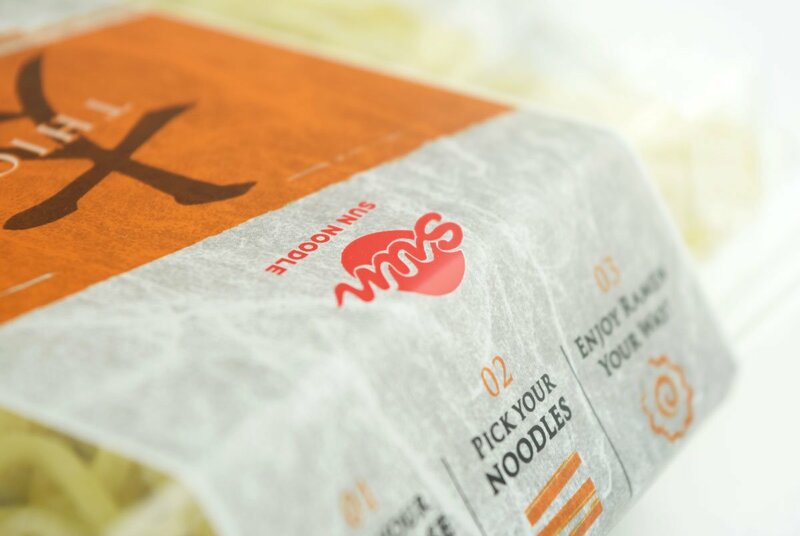 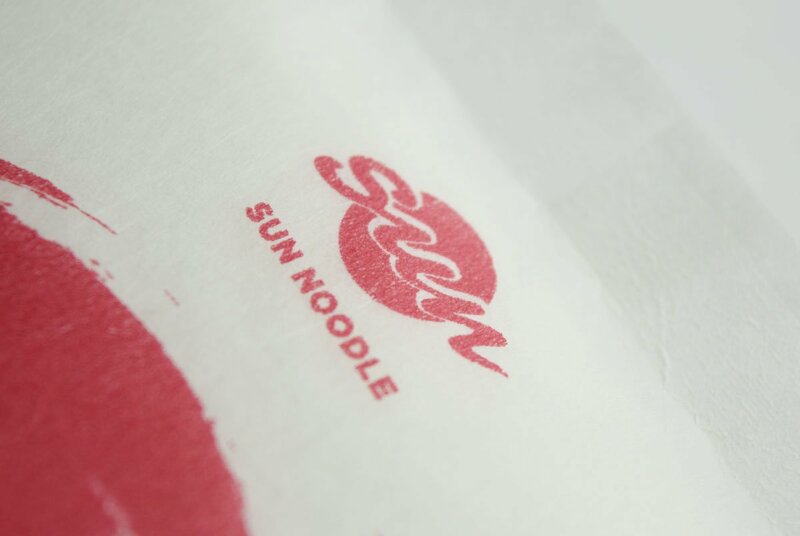 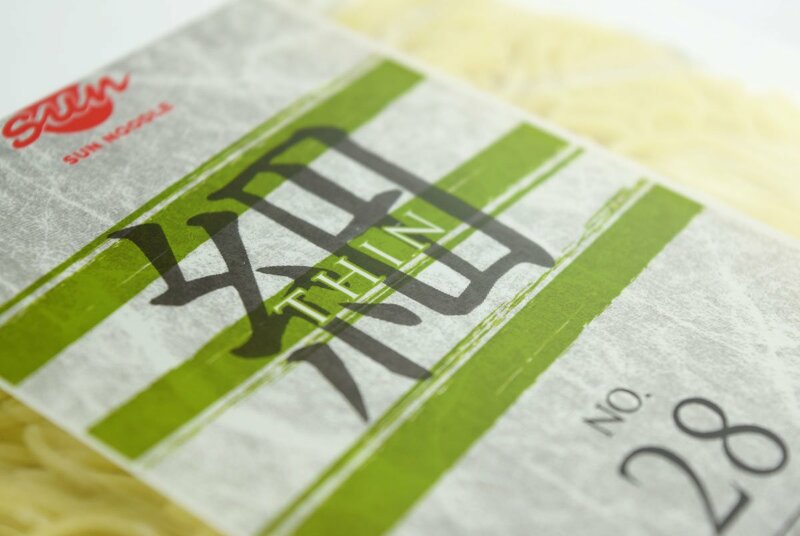 Sun Noodle was looking for a refresh to their existing package design for customizing Noodles and Soup bases. Customers are able to mix and match noodle styles with soup flavors. 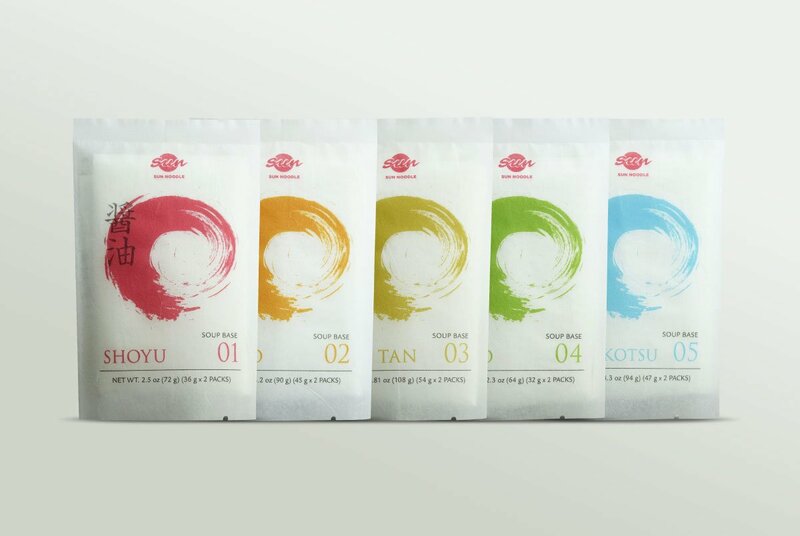 The old design had a non-unified, outdated look which made it difficult for customers to even realize the customization option, resulting in customer confusion. 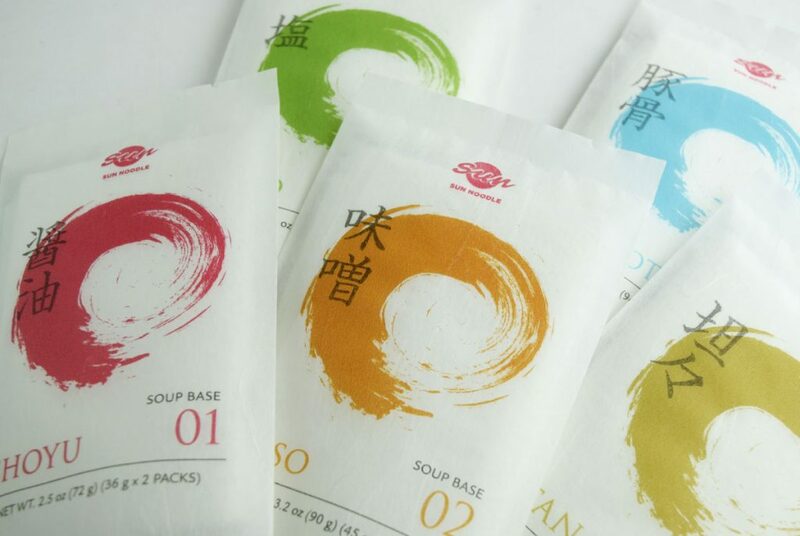 The target audience is mostly local customers and Japanese customers. 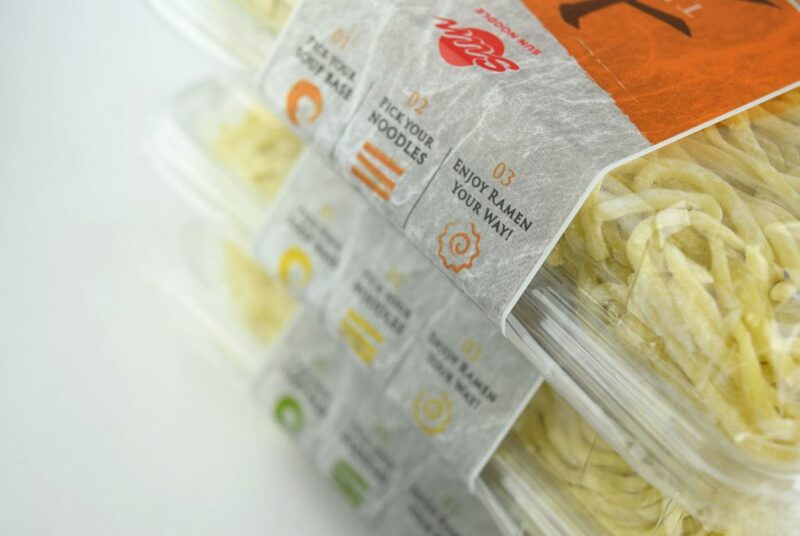 We solved the problem with a design that is intuitive and and consumer friendly in order to expand sales channels and boost sales. 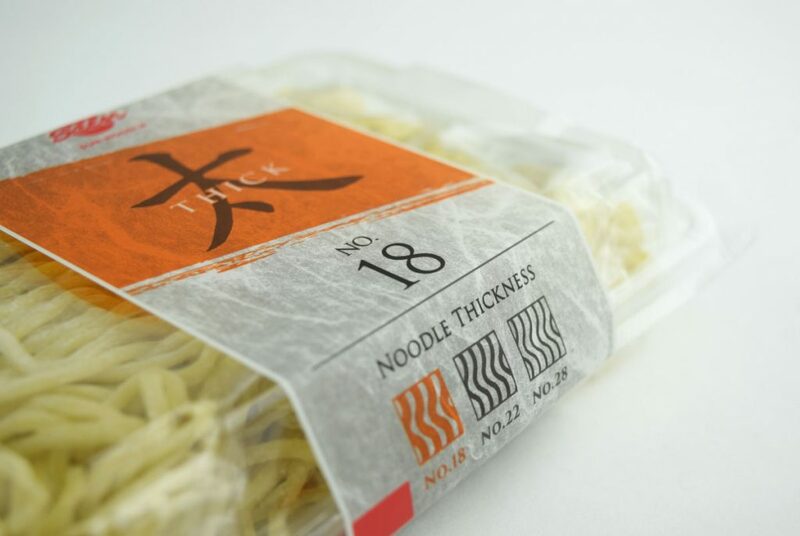 We came up with a design concept that was simplistic and easy to understand, yet sophisticated and eye catching for customers. 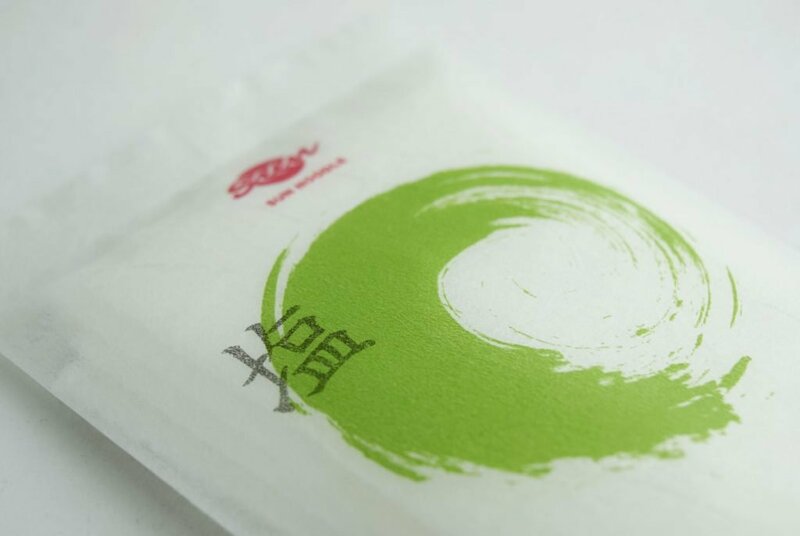 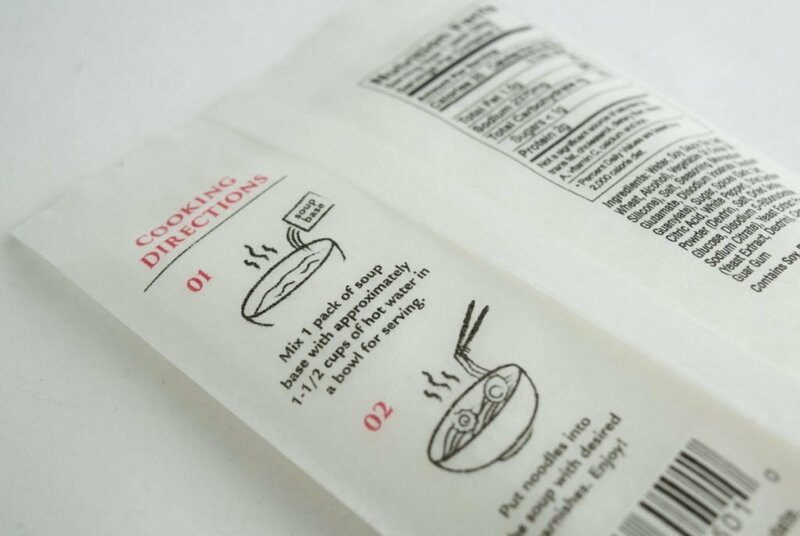 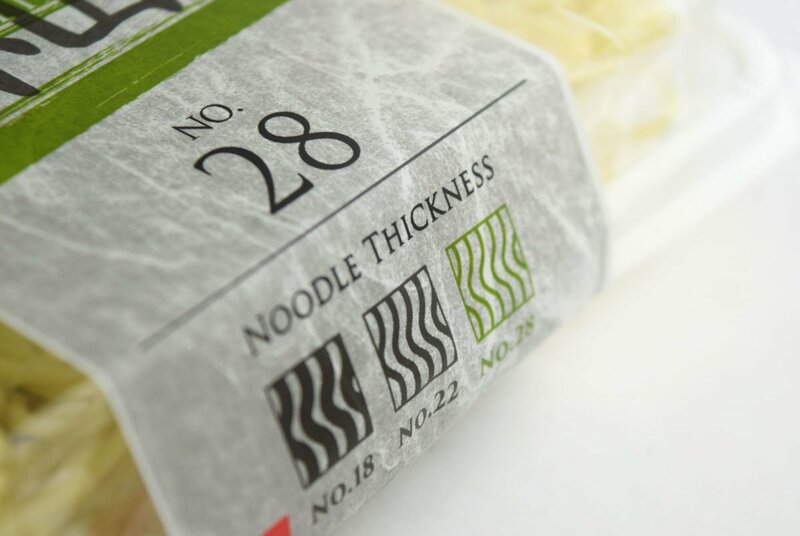 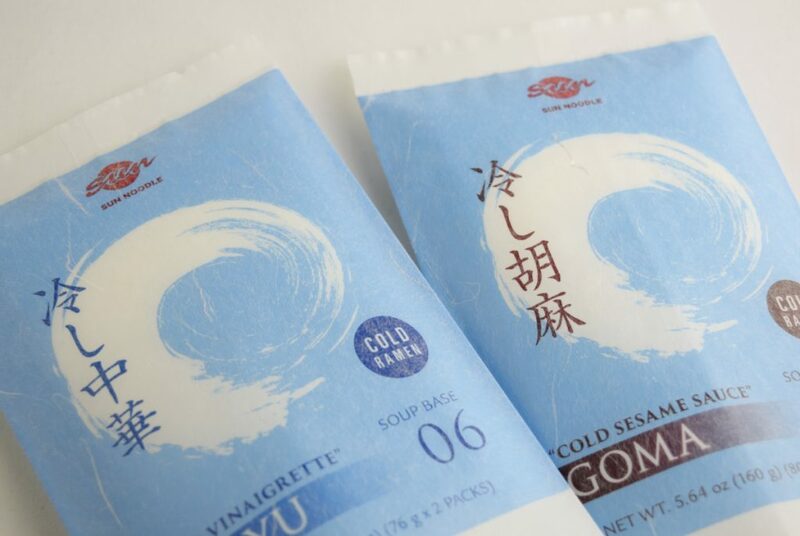 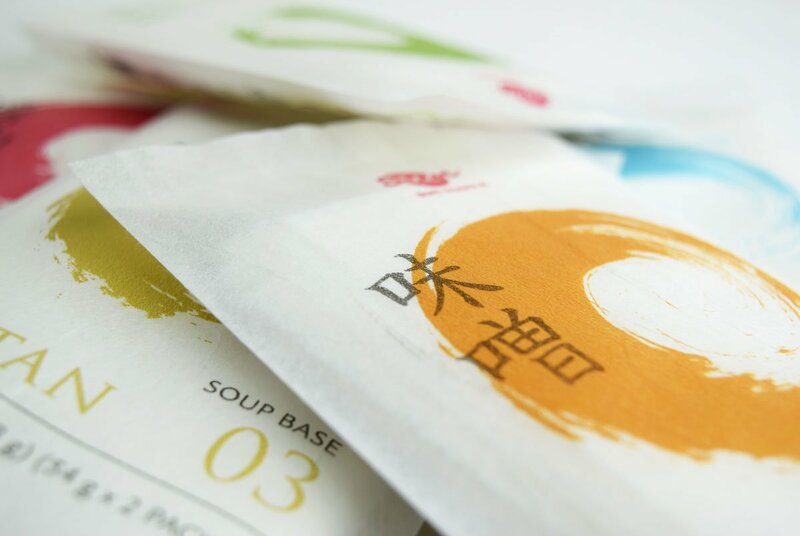 The “brush stroke” was a key design element for both the noodle packs and soup packs. 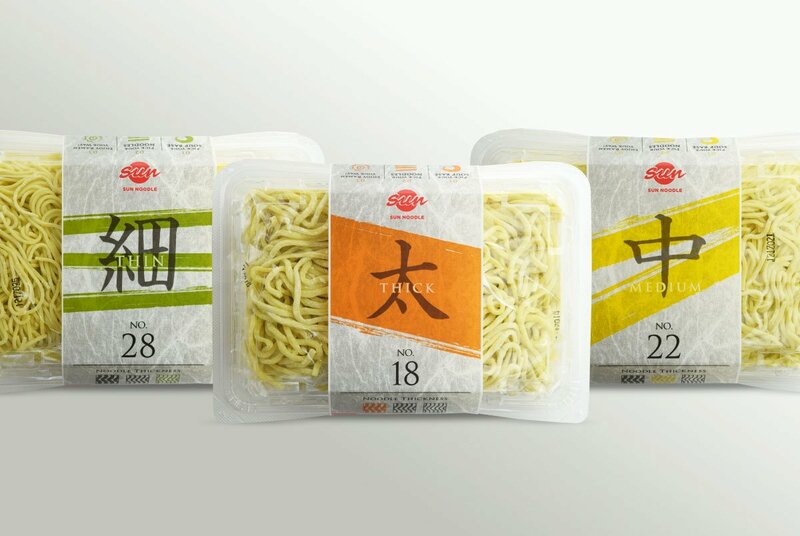 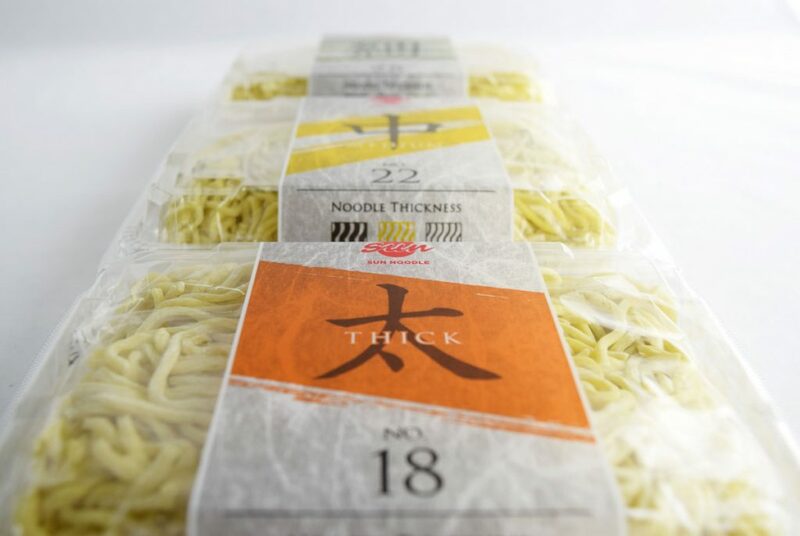 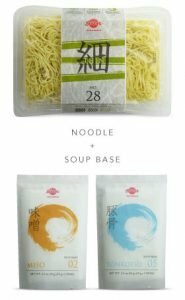 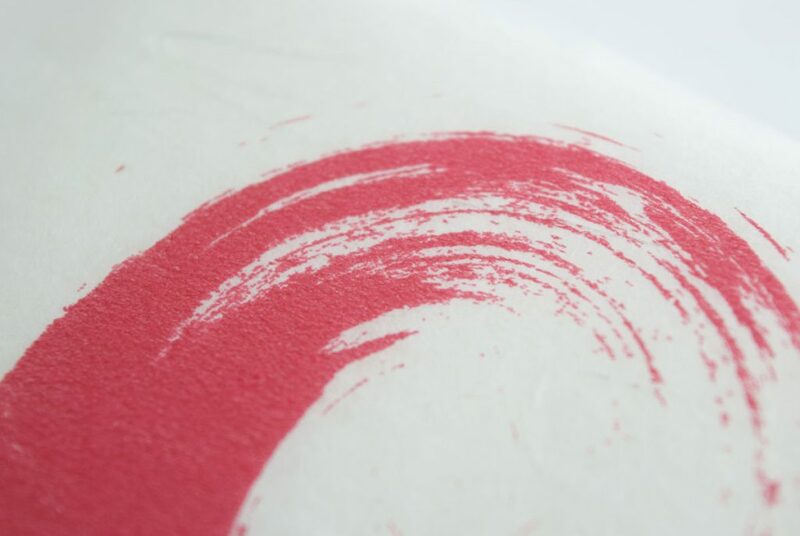 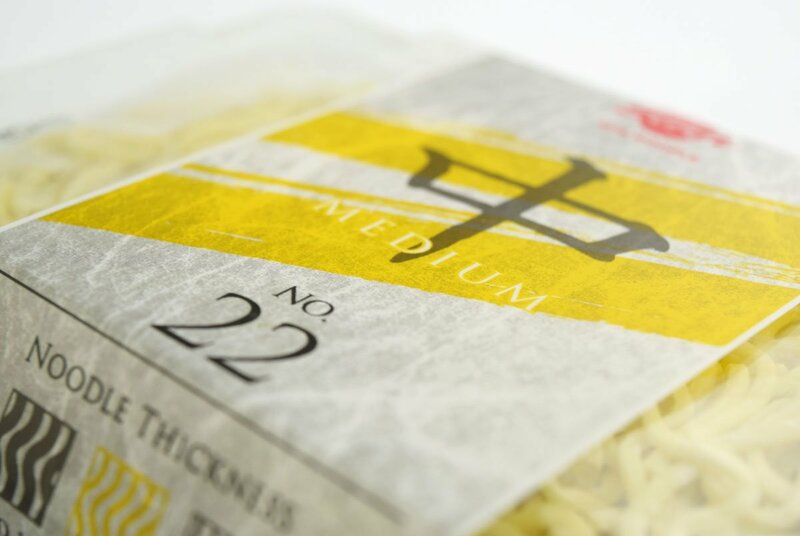 Representing Sun Noodle and its Japanese artisanal roots, the brush stroke conveyed the thickness of the Noodle pack styles: thick, thin, medium. The brush stroke then represented a circular brush stroke motion on the soup packs symbolizing the mixing motion of the soup, which was also color coded to each individual flavor characteristic.